Are you a Law Aspirant? Are you apprehensive of cracking CLAT? Worried about how to prepare for CLAT and make through the elite National Law Universities (NLUs) across India? 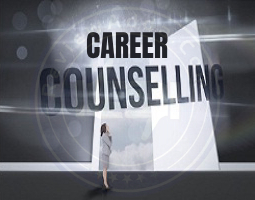 Want to clear CLAT but coaching is not an option either due to your will or money shortage? Give a break to all your worries! 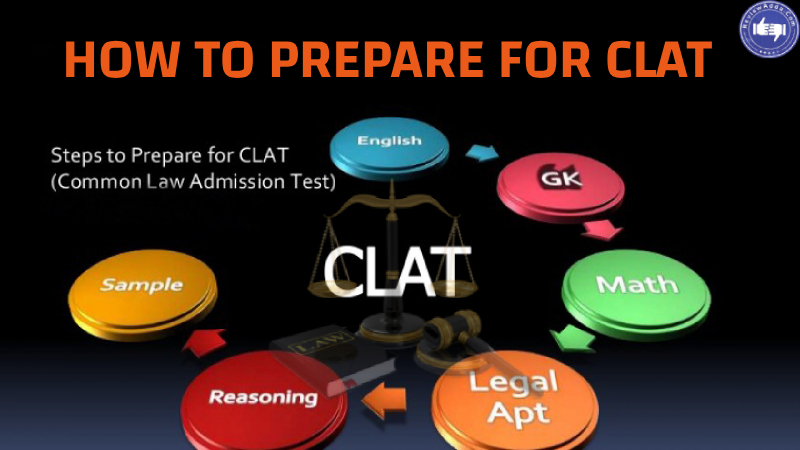 Through this advisory article all your concern and fret related to CLAT will come to an end as to what to prepare, how to prepare, from where to prepare and what books to refer. But, before we discuss about How to prepare for this intricate CLAT Exam; let’s first get to know what CLAT is actually all about? CLAT stands for Common Law Admission Test. This national level law entrance examination, ‘CLAT’ is an online exam and it compromises of 200 objective questions with multiple choices of answer, which are usually four. Students have to choose the correct answer from the available options. Every correct answer will fetch one mark every wrong answer will deduct 0.25 marks. The duration of exam is two hours. An annual combat for law aspiring students to get admission in top NLUs (with only National Law University, Delhi being an exemption), CLAT, provides students an opportunity to become law graduates directly from top colleges and universities. 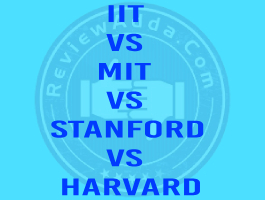 Being one of the difficult entrance exams of the Law it is a challenge for the students to pass this hurdle, therefore, making every student haunt by the question ‘How to prepare for CLAT’? The answer to the question is right here. By the following expert and professional tips, you will be able to prepare and clear your CLAT without coaching. A glance at the examination syllabus makes the exam look easy and students think that it will be easy to pass the examination. But, my dear friends it is a lot tougher indeed. 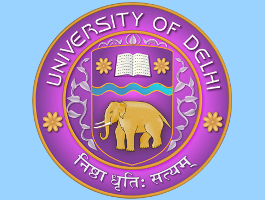 Thousands of students appear in the exam but only a few percent of them are able to clear and get admission to the reputed law colleges. Although all the subjects carry different weightage of marks for the exam but each subject requires equal and individual attention. The below table depicts each subject with the number of questions asked from that subject and the number of marks allotted to it. When you are preparing for CLAT from home and without any guidance of coaching institutes; having a good understanding of the pattern of CLAT is necessary. You should be aware of the fact that it would be an objective type question paper with 200 questions of one mark each. That every correct answer will add up one mark to your total score and with every wrong answer 0.25 marks will be deducted. It means that there will be negative marking and therefore, the answer shall be ticked with utmost care and confidence. Answer only if you are sure or else you may leave it unanswered. The fact that those who start early have more prospect of clearing CLAT has been recapitulated by toppers and seniors time and again. An ideal time to start preparation for CLAT exams is when you are in Class 11 or pass out class 11. By that time students are able to make a mindset that they want to pursue a career in law and therefore, they can start preparing as early as possible. Starting preparation early provides ample time to students to understand the concepts, topics and subjects in depth and gain detailed knowledge. The students then have enough time to practice test papers and mock tests. But it is not that if you do not start preparing from Class 11 then it’ll be too late and you won’t be able to prepare for CLAT, it is just that more the early you start more the beneficial it is to you. You will always have the opportunity to explore new ways of understanding a topic or a concept if you have sufficient time. You can devote the necessary time to clarification, research and detailed understanding of fundamentals which will build up a strong foundation to aid you in cracking the exam. Preparation for CLAT needs a proper GAME PLAN. A proper plan of action to implement your strategies and schedules which you would use in your preparation is a big must! Every aspirant every student should pen down such plan that best suits him/her to help them achieve their goal. For example; some students prefer to study during the day while others prefer in night. Some students can sit for hours and still concentrate while others can only spend a couple of hours in one stretch. Plan as per your comfort, a schedule, a time table to which you can adhere to. Try and follow your time table and stick to it. Following a set pattern of study on regular basis keeps you motivated and the flow of studies goes on. Also, Time management must be done in an appropriate and efficient manner. You should try and distribute the available time in such slots that justice to every subject can be done. Studies should be on regular basis as continuity in studies builds up a stability through which grasp over the subjects can be built up. While preparing for CLAT students tend to ignore the section of English as they assume it to be rather simple. There is a myth in the back of their minds that they know how to communicate in English language so they need not prepare for this subject. Perhaps this is a misconception! English is an important subject and aspirants should always try to focus that they learn the rules of basic grammar and English language properly. You should be strong in reading comprehensions and try to have a grip on synonyms, prepositions, idioms and phrases, spellings, para jumbles and foreign maxims. You can improve your English through various good books related to grammar and through reading newspaper. Meliorate your general knowledge by developing a practice to read the newspaper daily. Include assigning atleast an hour to newspaper reading in your time table. 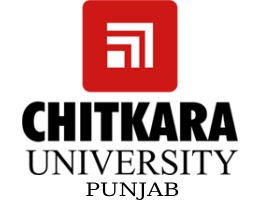 You can select any good English newspaper and any reliable current affairs magazine and follow them religiously to have a good preparation for CLAT. 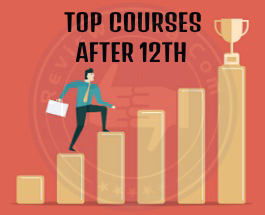 This will be advantageous in various ways like you will be able to increase your reading speed, you will remain updated about the current affairs which form a major part of general knowledge section of the exam, your vocabulary and English both will enhance. The magazines which are related to current affairs also prove to be a good source of information as you get all the current affairs compiled at one place. So, you can memorize and revise more quickly. Apart from the current affairs and day to day topics you should surely cover key topics like special days, information regarding famous personalities, awards given in the previous year in field of sports, science, art, literature etc., you shall be well versed with different bodies of United Nations (UN), their respective functions, headquarters and location. You shall have a sound overview of Indian History and Geography. You shall be having good information about Indian Judicial system and Indian Constitution. Subjects like mathematics and logical reasoning can only be prepared from constant practice. These subjects are those which are pretty tough and students are scared the most of these. You need to learn the concepts for having mastery in these subjects and that can only be derived only through practice, practice and practice! Purchase basic and elementary books, class 10th mathematics book which gives you conceptual clarity and practice through them. Some students find mathematics hard and they try to ignore the subject as it only constitutes 10% of the total marks of the paper. They think that they can make through CLAT without having prepared for mathematics. But this is not true. In this national level exam competition is at such a height that even 0.25 marks matter and that can even be the margin between your or someone else selection. So friends get over your fear, gear up and prepare rigorously for this subject as well while you are doing preparation for CLAT. Students always have difficulty in understanding as what to study for Legal Aptitude while preparing for CLAT. They struggle because the topic is something with which students are not able to connect as it is new to them. This is not taught in school and the syllabus is also very vast. But, if you explore the last few exam patterns then you would realize that a majority of questions asked are from Criminal Law Procedure i.e. CrPC, Law of Torts, Indian Contract Act and Constitution of India. So rather than spending time in learning all topics like which are less favourite to the examiner, it would be much better if you pay attention on those topics which have been repeatedly asked again and again. Friends, while preparing for CLAT exam keep in mind that this is a Law entrance exam. It doesn’t want you to be already master in all law subjects and their technicalities; instead it wants from you to have a proper hold of the fundamental tenets on which the law has been framed. The exam wants to check your logical skills as per the situation provided in the question. While preparing for CLAT one should always try to take as many Mock tests as he/she can. Needless to mention Mock test shall always be taken after you have completed at least 80-90% of your syllabus i.e atleast the basic preparation has been completed. Experts and toppers always recommend to doing mock tests and with same rules and honesty as if you are giving the real CLAT exam. Through doing Mock test you can learn your shortcomings and work on those. The topics, questions and subjects on which you have developed a strong hold can be easily recognized through these tests. The concepts which you lag behind and which are not clear can be worked on and hence, you will be able to build up conceptual clarity as well. That will in return save a negative mark in the exam. These mock test papers are online so you should aim for finding a good online test series. Try to complete the test within the same time limit of an actual exam. There will be 200 questions in the examination. Total time duration will be 2 hours i.e. 120 minutes; this means that there will be approximately 1.5 minutes for each question. Students should learn the art of time management by which they can read, understand and answer the question within these 1.5 minutes. This can be attained with regular studies and practicing previous years question paper and taking mock tests on daily basis. Another point that shall always remain in the student’s mind during the examination is that they should not stuck to any particular question. Suppose, if you are not able to answer or you are not able to recollect its answer then in such a situation just skip to the next question and save time. Don’t waste too much time on a single question or else your exam may be left incomplete. As every competitive examination, CLAT is also very arduous yet remarkably high in demand! So remember, while preparing for your CLAT you should be fully charged with energy, will and determination. Follow the above points systematically and seriously to achieve your desire to graduate from one of the best National Law universities. You should only be determined to constantly work hard and be ready to compromise on anything to secure yourself a seat. The complexities of CLAT should always be kept in mind while preparing for the exam and it shall be remembered that mediocre level of preparation will not help in winning the race and you will have to give in all to get through CLAT. Remain self – motivated, inspired and think positive. You are the one who is putting all those efforts and so have faith in yourself and continue to polish yourself by daily efforts and positive attitude. Invariant work and positivity that you will hundred percent secure yourself a seat will make you culminate your purpose! I had given entrance examination of MAT in 2013 and scored 90 percentile and after giving interview I was selected to get admission in that college.